Recreating Movement is a computer program for analyzing film sequences in real-time and has been developed within a diploma thesis. 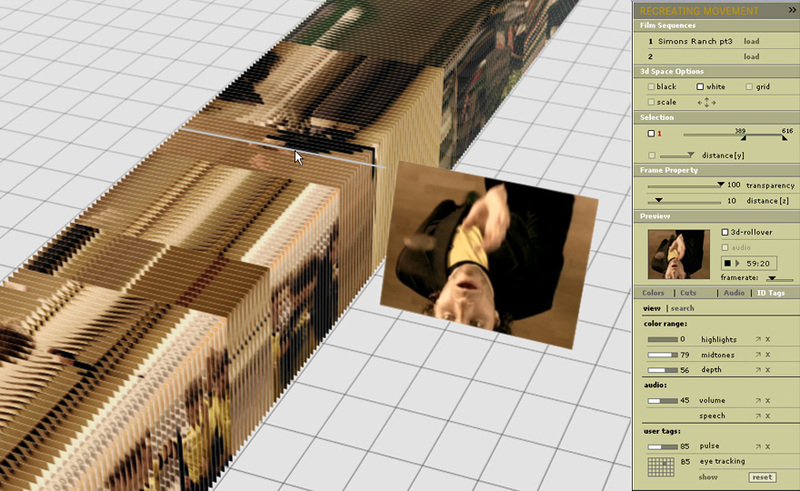 The application extracts the single frames of a film sequence and arranges them behind each other in a three-dimensional space. This creates a tube-like set of frames that “freezes” a particular time span in a film. The user can browse through the sequence of frames and choose any kind of view in the three-dimensional space. A User Interface provides different settings and filters to adjust the visualization of the single frames. The project is to be understood as a design approach, and not a finished product. It describes various scenarios and provides an overview of the possibilities of displaying film sequences three-dimensionally. In film the effect of image mixture is created by the projection of the single frames to a reflecting surface at certain intervals. Generally 24 frames are reproduced per second. 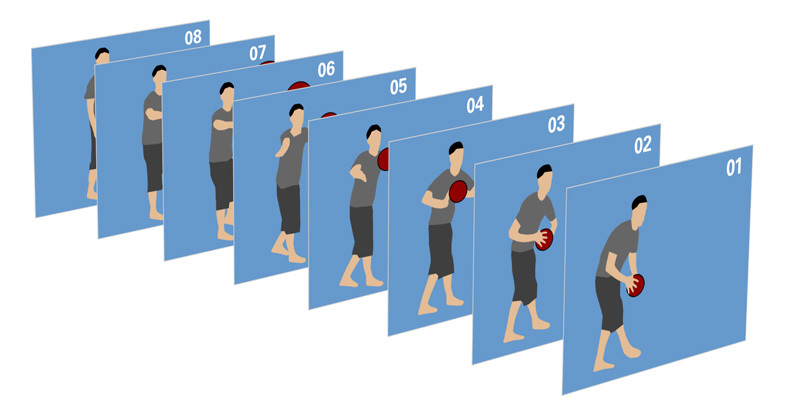 Since human eyes are unable to perceive this quick sequence of frames as individual images, the single frames “come alive”. The single frames are arranged one behind the other in a virtual three-dimensional space.